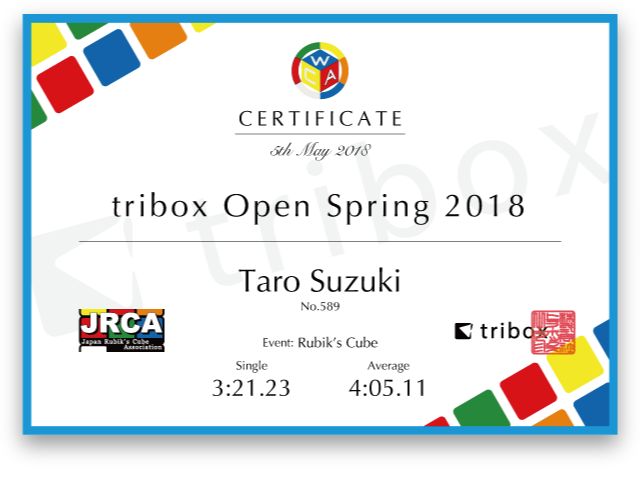 All information about tribox Open Spring 2018 in this webpage is provided in Japanese. If you don't understand what it says, Never mind! Please feel free to contact us by emailing to support@tribox.jp . We will help you with your registration and your competition as much as possible!